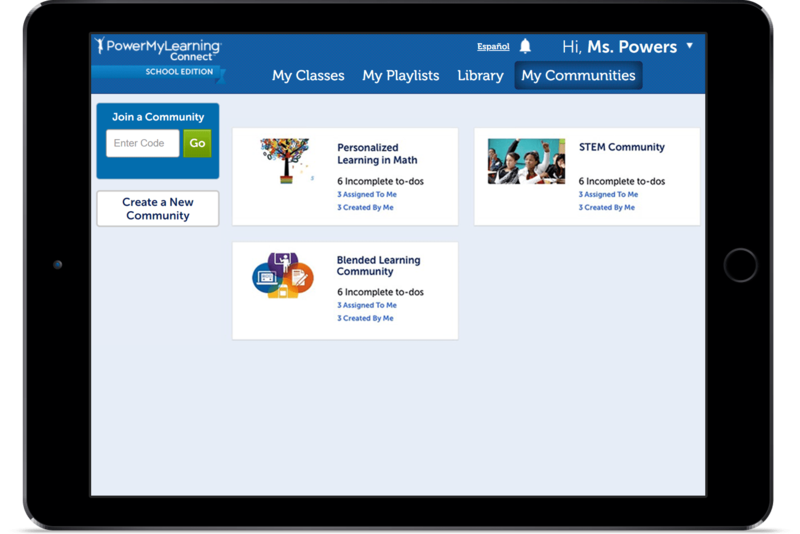 PowerMyLearning Connect enables educators to collaborate with families and colleagues to design joyful, engaging learning experiences. Discover the highest quality, standards-aligned activities and assessments from over 1000 publishers covering all subjects and grade-levels. 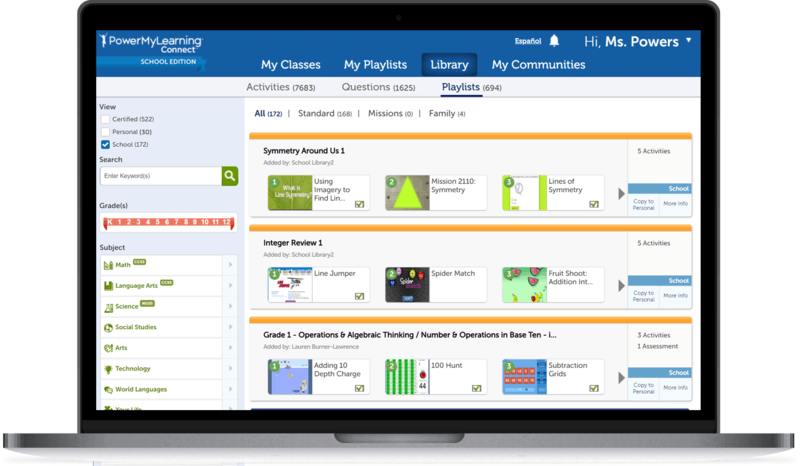 Mix and match content into personalized learning sequences based on student needs. Start with one of our expert-created Certified Playlists aligned to standards or build your own. Empower students to find content that meets their learning needs and interests. 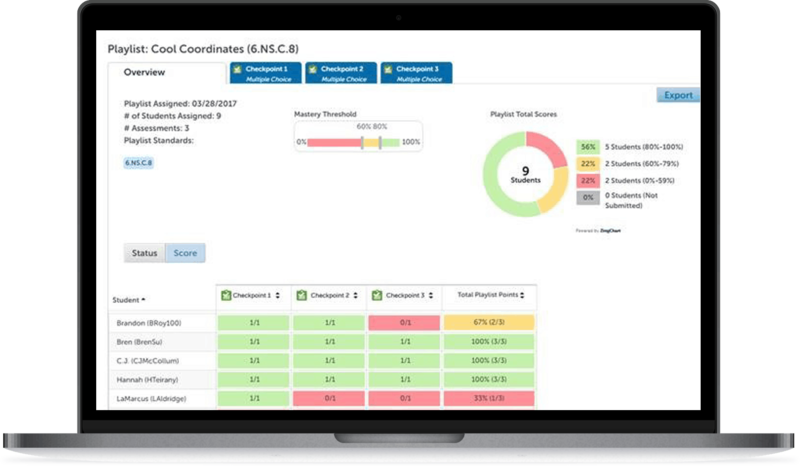 Differentiate instruction based on real-time mastery data and dynamic student groupings. 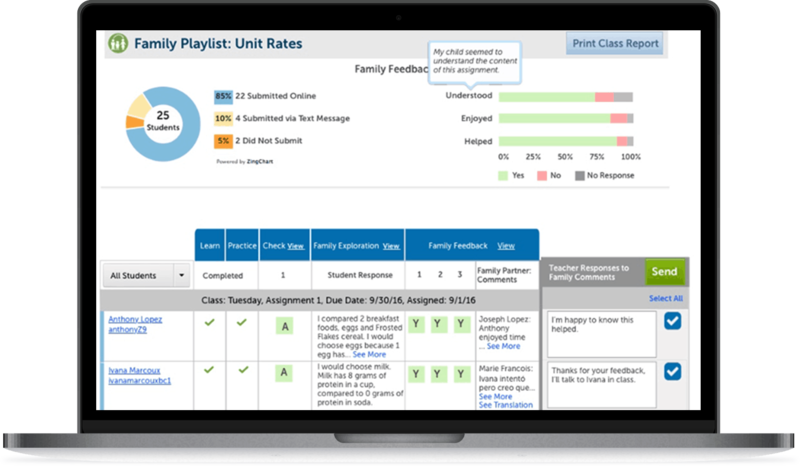 Give families insight on student progress and engagement with real-time reports. 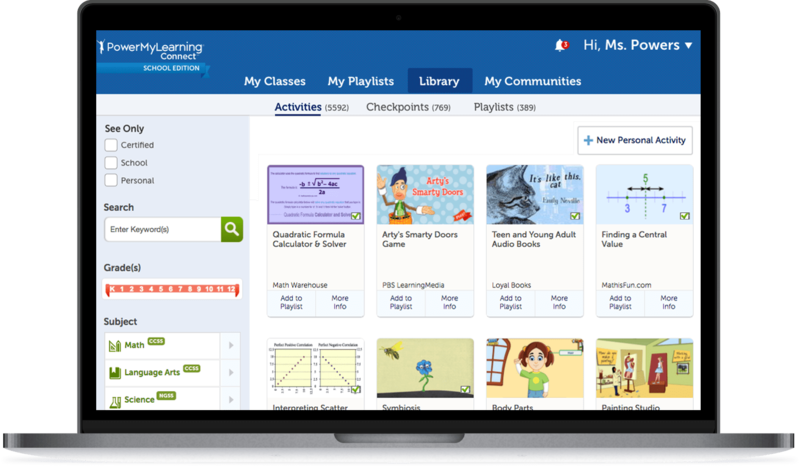 Engage families in classroom content with mobile-friendly, multilingual home playlists that put students in the role of the teacher at home, leading their families through dynamic home learning activities. Family Playlists were featured in The New York Times. Read more here. 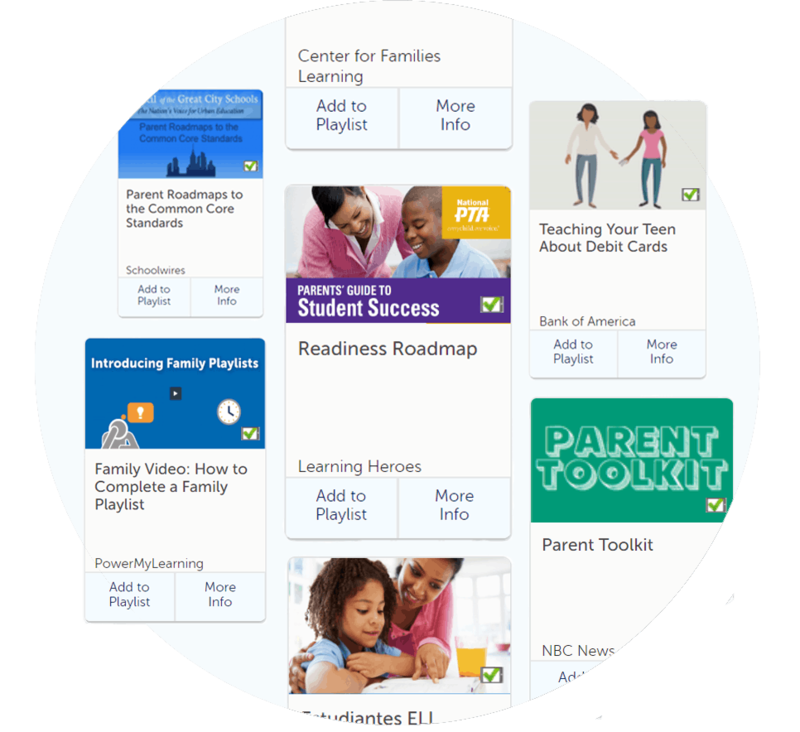 Support family learning with hundreds of resources specifically curated for families. Help families find trusted content to better understand state standards & assessments, social-emotional learning, learning differences, digital citizenship and more. 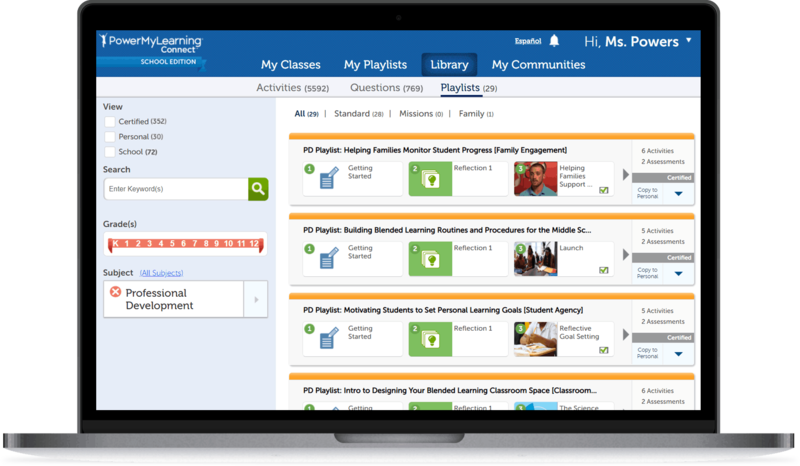 Find Professional Development playlists on best practices for personalizing learning. Support peer-to-peer collaboration with digital professional learning communities. 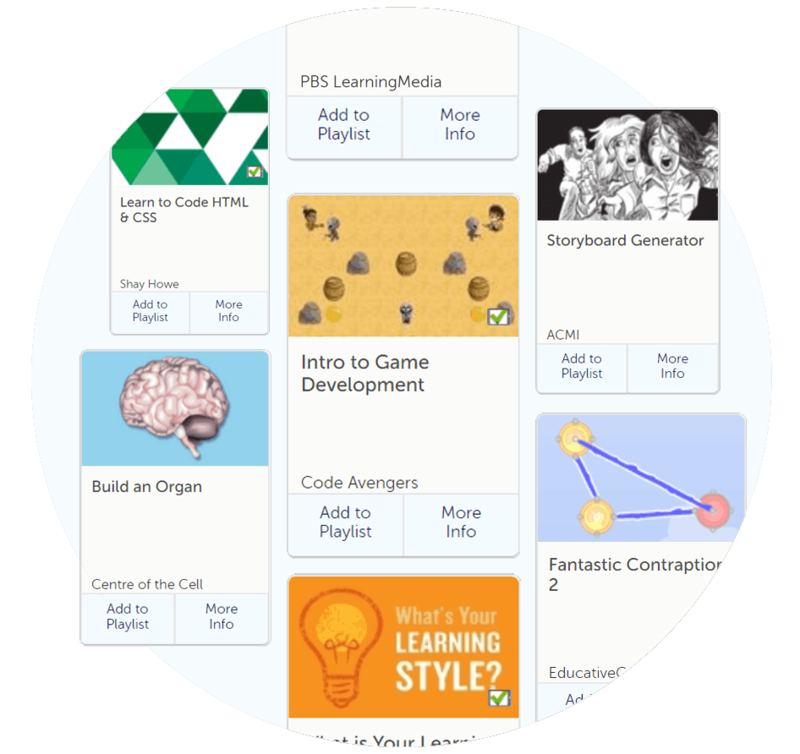 Share classroom strategies and resources, collaborate on playlists, and track progress on goals. Keep all of your school’s digital content in one place. Build a shared library of resources so educators can leverage each other’s work and spend less time searching for quality content.